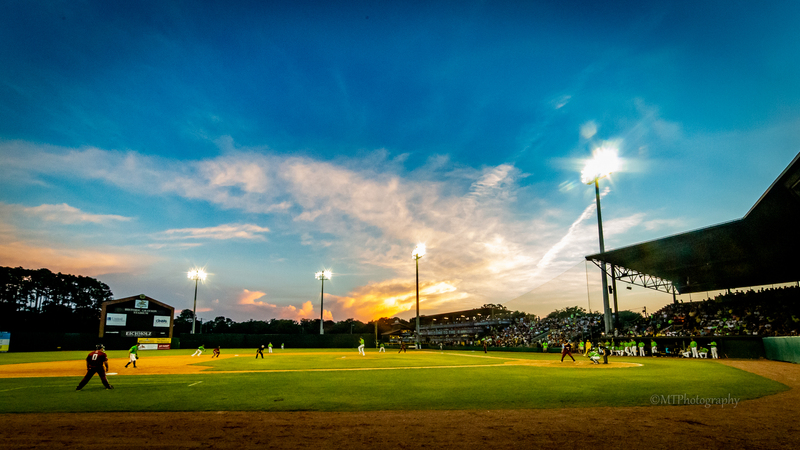 Photo courtesy of the Savannah Bananas. For anyone who last saw a game at Grayson Stadium in Savannah, Georgia, amid the dying embers of the Sand Gnats franchise, you’re in for a shock. You probably can’t get tickets to the city’s relatively new collegiate summer league team. Baseball has risen from those ashes in a big way. A big, yellow way. Entering the 2018 season, the Savannah Bananas of the 16-team Coastal Plain League had sold out 32 straight games going back to 2016. They kept the streak going for their first 10 home games this year. As of last night, tickets were still available for Sunday’s tilt against the Florence Red Wolves, but that’s unusual. The game was not on the original schedule. The obvious question is, what the heck is going on down there? For any history-loving baseball fan who has been burned by a local team bolting for greener pastures, even within city limits, that statement stings a little bit. We all wish we could be Savannah. I know I do. Greensboro, North Carolina, my home, had one of the oldest active baseball parks in the nation. Like Grayson Stadium, Greensboro War Memorial Stadium was built in 1926 and had all the well-worn-shoe qualities of a stadium that age. A creek ran beneath left field. The press box stood atop the third base bleachers thanks to the stadium’s original configuration for football. Preservationists drew up renovation plans for the old yard and the surrounding neighborhood that needed it, but it was no use. The city’s movers and shakers steered money and development downtown, where First National Bank Field now is home to the Single-A Grasshoppers. Had Greensboro won itself a Coastal Plain League team, things may have been different. Saving old ballparks is what the league does. The Wilson Tobs play at old Fleming Stadium, built in 1939 when the Tobs (short for “Tobacconists”) were a Class D team. The Edenton Steamers’ Hicks Field is a WPA project, built in 1939, with the oldest remaining wooden grandstand of its type in North Carolina. McCrary Park once hosted one of the 1950’s most powerful cotton mill teams in the Southeast before the CPL and Asheboro Copperheads saved it from oblivion. It’s also worth noting that the Sand Gnats moved up I-20 to Columbia, a town that blamed the loss of its previous team, the Capital City Bombers, on a suboptimal old ballpark. Guess what? Even with the Columbia Fireflies now at home in Spirit Communications Park, its predecessor, Lexington County Baseball Stadium, now hosts the CPL’s Lexington County Blowfish. Bananas owners Jesse and Emily Cole knew all about this legacy when they bought the Savannah expansion franchise in 2015. Jesse’s initial play in the CPL was in Gastonia, North Carolina, a town about 30 miles west of Charlotte that had a South Atlantic League team from 1987 to 1992. Those teams played at Sims Legion Park, built in 1950. The CPL’s Grizzlies became the main summer tenant in 2002. Cole immediately changed the business strategy to focus on fan entertainment, starting with minor-league staples like between-innings contests and promotions, but going much farther, getting players personally involved with the fans. The Grizzlies have broken their own attendance record every year since. In Savannah the Bananas have been the main event since opening day 2016. Wonderful, in part, because the media is instrumental in helping the Bananas sell out virtually all their games. All it took to get the ball rolling was a local reporter who noticed a small sign. Minor league front offices tend to be populated with energetic people. 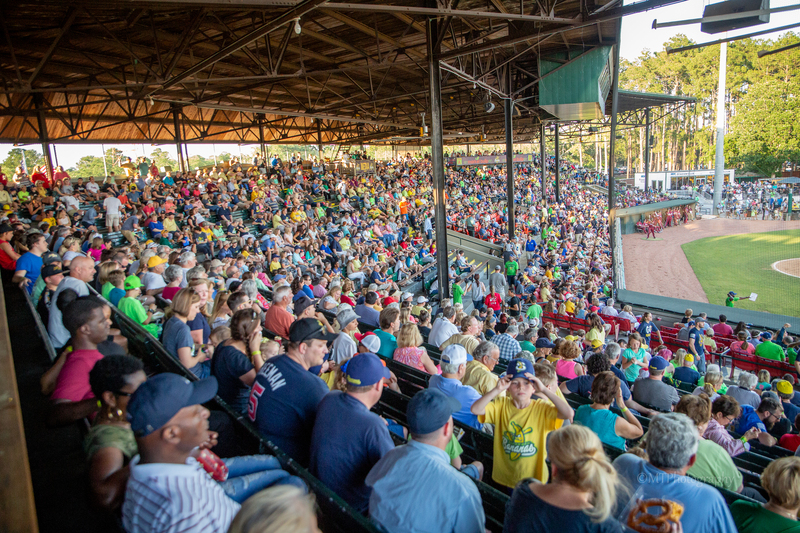 And make no mistake, the Coastal Plain League operates exactly like a minor league, with front offices working toward selling as many tickets, concessions and souvenirs as they can. There is one major difference—other than the fact that the players are still in college. Orton, the Coles and the rest of the Savannah Bananas front office aimed for the sun and moon heading into the inaugural game. They would endeavor to sell out Opening Night, the July 4 game and most of the team’s Friday and Saturday night home games. Ten sellouts in all is a pretty lofty goal for a first-year college summer league team. The genius was in how they handled their first sell-out. The Bananas sold out Opening Night 2016 and made hay about it, announcing it on their website and social media accounts and placing a sign in front of the Grayson Stadium box office. 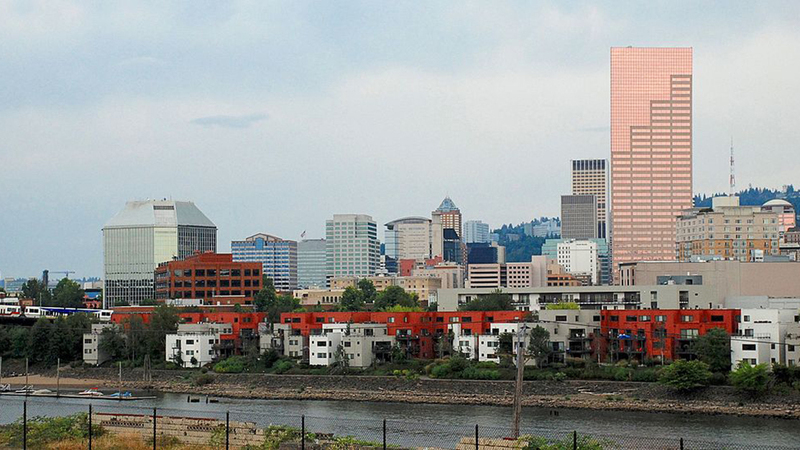 One local reporter saw it, snapped a picture and posted it on social media. Savannah proceeded to freak out a little bit. It was like a run on a bank, except this was for Bananas tickets. The team sold out 18 games in 2016 and parlayed that success into selling out every single game in 2017 and its first 10 of 2018. Now, the best bet to gain admission is through your employer or your kids’ Little League team or some other group that bought a package deal in the offseason. Because now fans in the greater Savannah area are trained. They get their tickets weeks early and often for a chance to see a show that includes the team owner roaming the stands in his signature yellow tuxedo and the players—yes, the players—performing choreographed dances between the second and third inning. If anyone in Savannah can appreciate the value of summer collegiate baseball to the players, it’s the Bananas’ first-year skipper, Tyler Gillum. Gillum is the infield and third base coach at South Mountain Community College in Phoenix, and he has spent his past seven summers coaching in summer collegiate leagues all over the country. Last year, he had the chance to coach with the Yarmouth-Dennis Red Sox in the Cape Cod League, the gold standard of summer collegiate leagues strictly from a baseball standpoint. No matter where Gillum has coached, the players are all serious about baseball. Their goal is to impress the professional baseball scouts who attend games and eventually get drafted by a major league organization. Selling players on a place where they have to do everything from shooting videos to handing out game programs to wearing ridiculous yellow uniforms must be tough, right? Wrong. Gillum says the vetting process to fill out the current 36-man roster was intense. The unique culture of the Bananas franchise is another key point. A summer with the Bananas may be the best possible training for big league life—better, even, than time in the vaunted Cape Cod League. Time demands on big leaguers are constant. The media want access. Advertisers want access. Of course, fans want access. All of this comes at players as they stay prepared to excel at the highest level of the sport. The glare isn’t nearly as bright in Savannah as it is at a major league park, but it’s a pretty good approximation. For every home game, Gillum and his staff have to create a highly detailed schedule to keep players balanced between their baseball obligations and their responsibilities to the fans and front office. Players usually arrive at Grayson for early work around 3 p.m., then take batting practice at 4 p.m.. Then, after a half hour of down time in the clubhouse, they flip that switch. A few players branch off to play catch with the Little League groups attending the game. Others head to the clubhouse, where they glad-hand fans who purchased the “VIP experience.” Then, at around 6:20, it’s FTS time again. Players hit the field to stretch and get dialed in. They system has worked fabulously for the team on and off the field. Never mind all the fan entertainment stuff. The Bananas won the league title in its inaugural season, reached the West Division championship last year and are poised to make the playoffs again. As the Coastal Plain League season crosses the midway point—its schedule runs through the first week of August—the success of the Bananas is getting harder and harder to ignore. Arguing with the results is about as hard as getting a ticket to a Bananas game. Better log on and buy now ($10, open seating). They’re almost gone again. Chris Gigley is a freelance writer who has written for a number of Major League team publications, as well as Baseball America and ESPN the Magazine. Follow him on Instagram @cgigley and Twitter @cgigley. Did something happen to Fenway and Wrigley? Indeed. Thank you. I should have added the “minor league” qualification. Will get that amended. Places like this might save baseball for the next generation. Great story. Nice story. Some years back on a trip to Savannah I bought a Sand Gnats t shirt, and when wearing it I’ve run into Savannah natives who lamented that the Sand Gnats were no more. Last summer at the beach I talked to a woman who told me that there was this new team called the Savannah Bananas. But little did I know the full story. . .